Yum! Can’t wait for Christmas! This tasted lovely. We also added a small glass of whisky to the recipe which worked well and served it with shortbread and double cream. Thanks for sharing your great recipe! I made it for Christmas and will tag you it a photo. So glad you liked it! It is a fam favorite! We love cranberries and this looks delicious. But my daughter is still trying to talk me into getting a microwave! I’m sure you could cook this on the stove over medium heat. Just want the cranberries to burst and cook a bit and the apples to cook down. It is a chunky sauce add the nuts after it is cooked so they don’t get too mushy. Good luck and let me know how it goes! 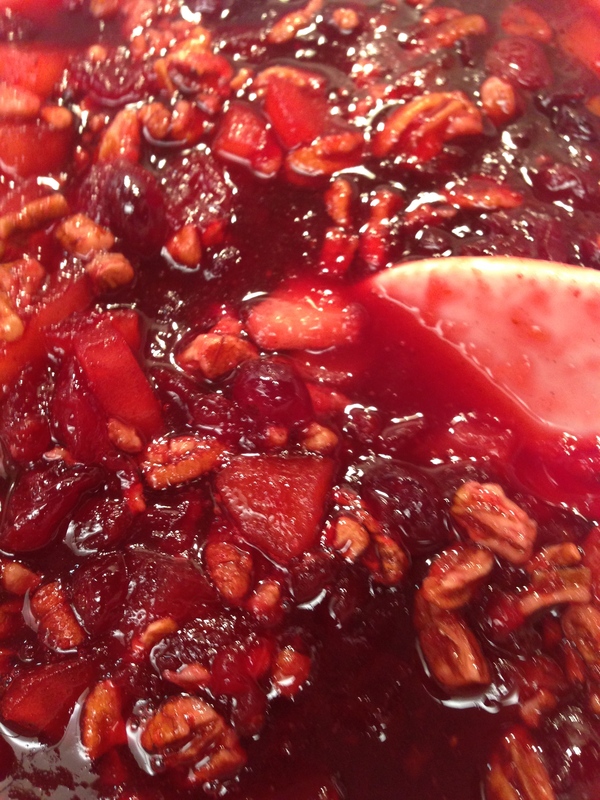 It’s that time of the year and many have asked for the Christmas Cran recipe. Here’s my original post. I hope your family enjoys it as much as our family does!